Let’s do lunch. The New York City lunch meeting has evolved over the last several decades, as businessmen and women meet to discuss new ideas, sign contracts or just catch up. 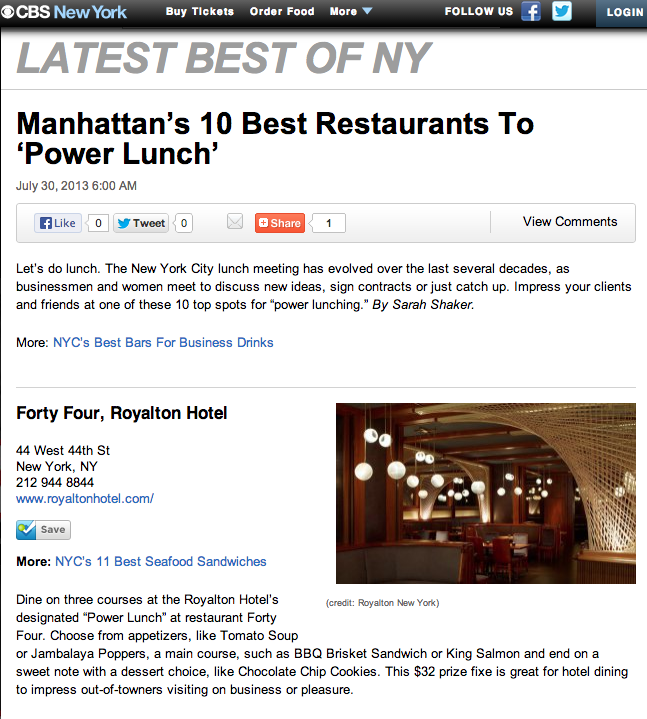 Impress your clients and friends at one of these 10 top spots for “power lunching” on CBS New York.